If you are a school and have implemented SharePoint 2010, Microsoft want to hear from you. They are currently giving away a free ticket to the next SharePoint Conference in Los Angles in October 2011. All you have to do is tell your Journey of SharePoint 2010 and how you have implemented it into your environment. 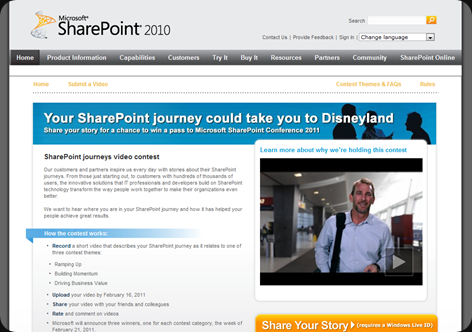 To take part you need to create a video of your story and upload it to the Microsoft SharePoint Journey website.